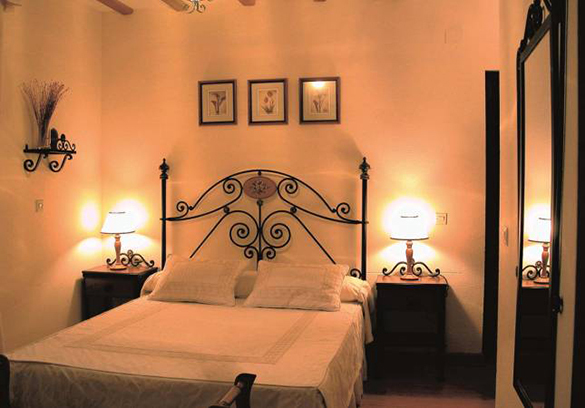 Centre based itinerary, with 1 night on a mini trail. 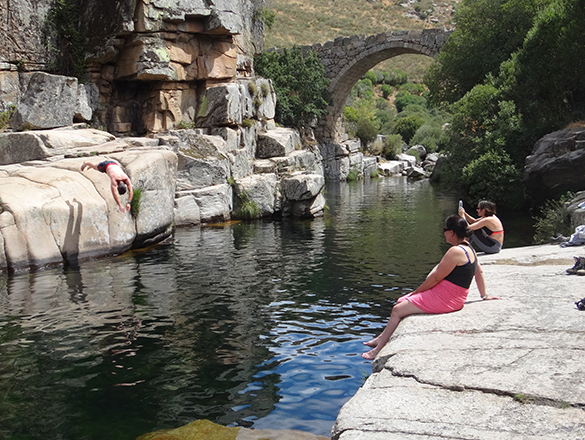 Different rides each day with opportunities for swimming at lunch stops in the crystalline waters of Gredos, rivers, gorges…. 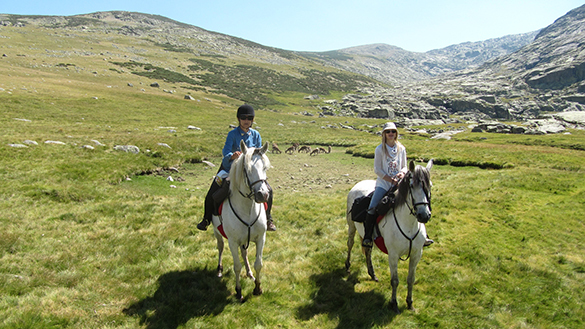 Relax and comfortable ride good for families and less experience riders, 5 nights at the same hotel, daily trails with different itineraries everyday through the wild landscape of the Gredos Mountains, where we can see Iberic Goads, golden eagles or black vultures. 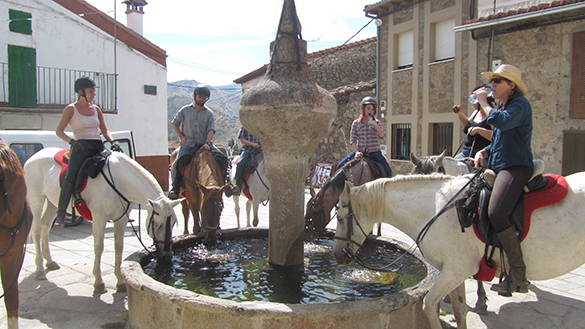 Lunches in the countryside, bbqs, paella.., after a relax swimming in the crystalline waters of the rivers at the mountains, very relaxing day rides. 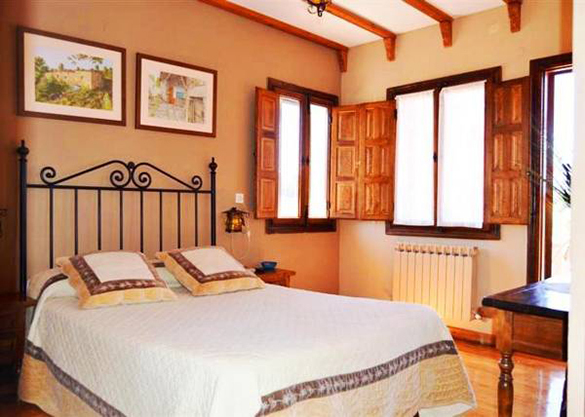 In the middle of the week we will travel to another town located in the Tormes River valley to spend one night. 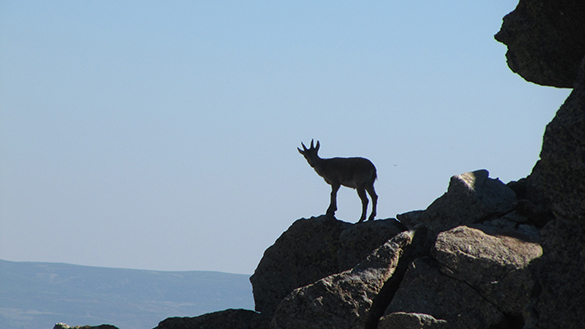 Emilio knows the terrain and the route very well and will show you interesting facts along the way. 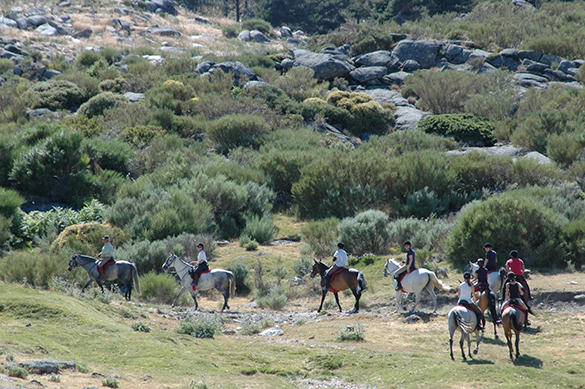 The peace of riding is moderated with walk, trots and canters every day. 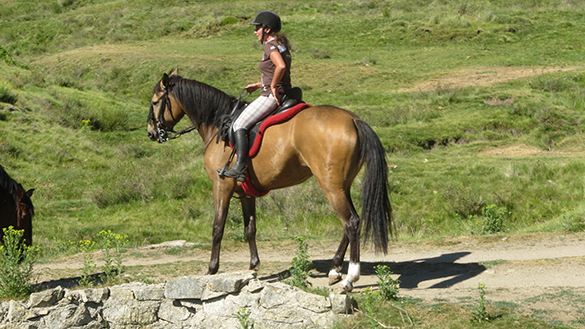 Usually, when the terrain allows for a safe canter, we canter. 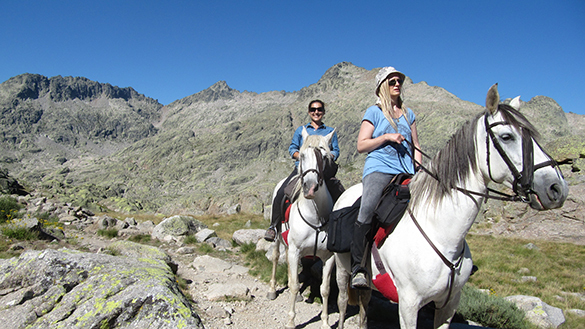 In the mountains, in many areas the terrain does not allow for trotting or cantering so we enjoy walking with breathtaking views around. 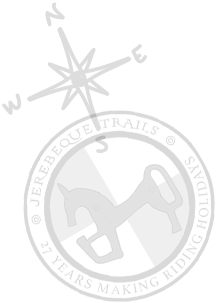 We make a suggested or sample itinerary with descriptions of a typical day program. 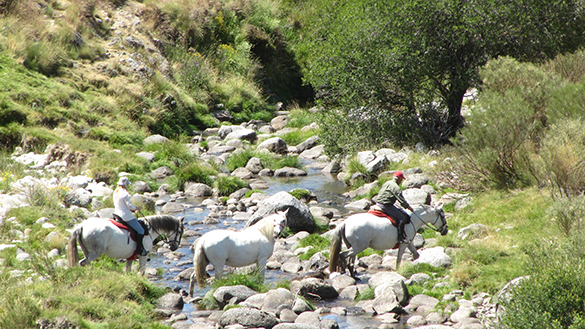 Easy day from Navarredonda to the mountains riding through summer pastures, lunch stop by the river near San Martín del Pimpollar with an excellent pic-nic cooked at the spot. 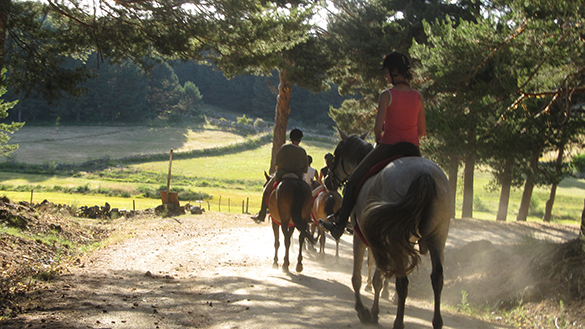 In the afternoon riding through the pine woods with good canters and trots coming back to the stables. Time on the saddle 5 hours. 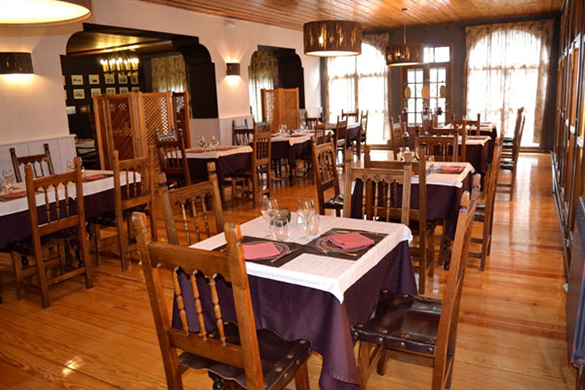 Dinner at rural hotel in Navarredonda de Gredos. 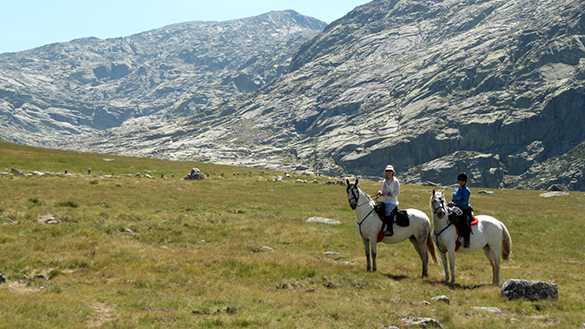 Riding in the morning to Cañada del Gallo lagoon with some great views of the peaks of Gredos with great canters in open landscape. 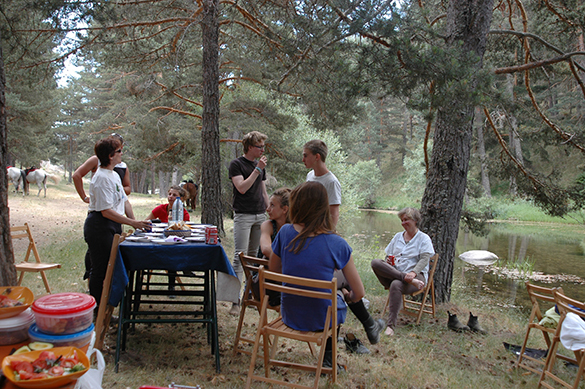 Riding down to the Tormes valley for another luxury pic-nic with an excellent paella cooked at the spot with opportunity for swimming. After a relaxing lunch break riding back to the stables with some good canters. 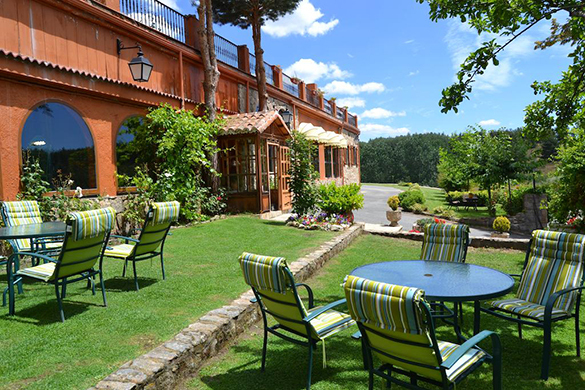 Night and dinner at the hotel in Navarredonda de Gredos. 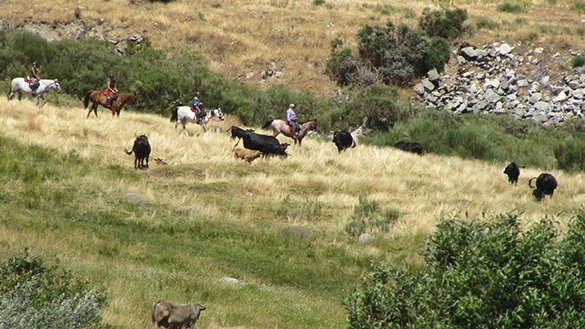 In direction to the highest mountains with stunning views of Gredos, riding up to Puente de las Juntas and down to Barbellido gorge, stop for an excellent lunch with Avilan beef bbq at a fisherman hut, good spot for swimming in crystalline waters of Barbellido gorge. 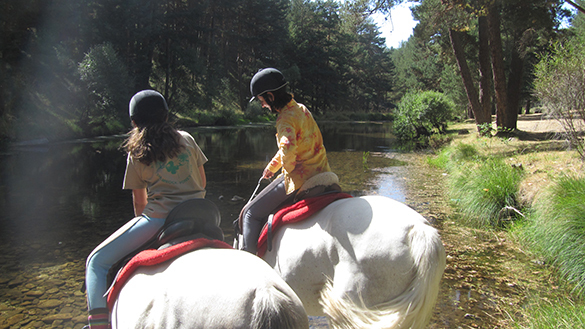 After a relaxing lunch stop, in the afternoon good canters along the pine woods riding to a different hotel in Navacepeda de Tormes. Time on the saddle 6 hours. 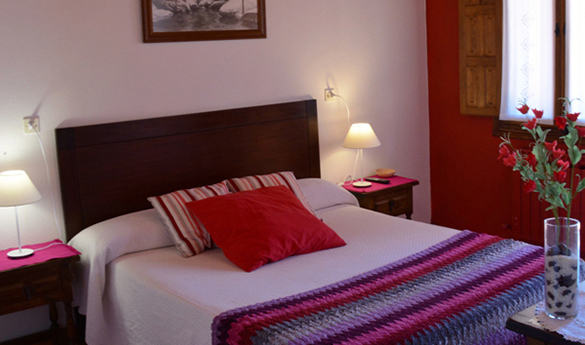 Night and dinner at rural hotel in Navacepeda de Tormes. 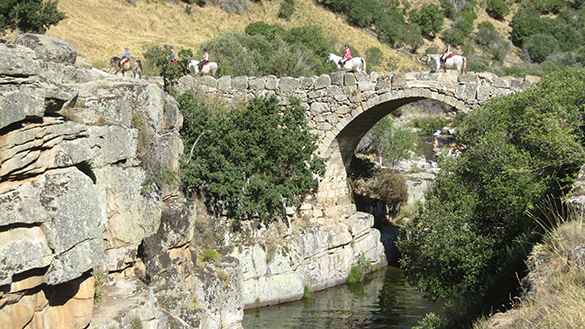 Following the Tormes River Valley through Navacepeda, historic town in the mountains to Navalperal for a tapas-break, continuing to Pozo de las Paredes, a 14th century bridge over the Barbellido gorge. Lunch at the beautiful place perfect for swimming. 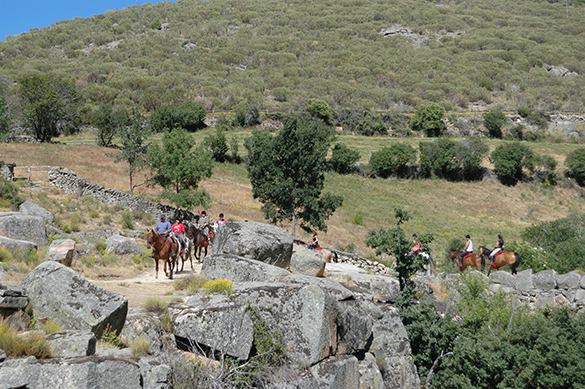 In the afternoon riding along the Tormes river coming back to the stables. 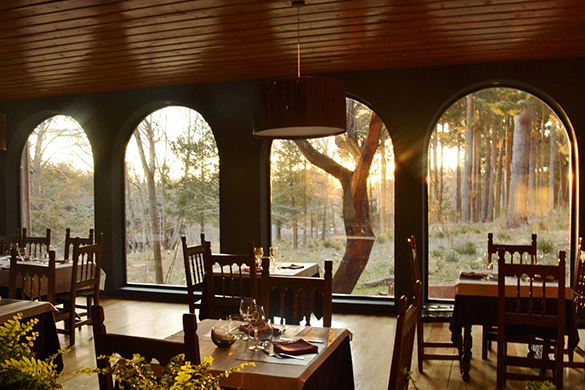 Dinner and night at rural hotel in Navarredonda de Gredos. Time on the saddle 6 hours. 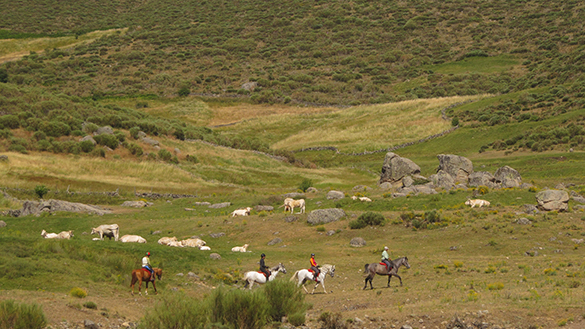 Fast morning riding to Hoyos del Espino. Lunch stop and swimming with excellent spot. 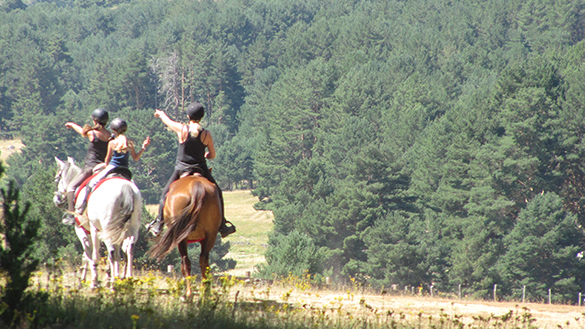 In the afternoon funny riding with canters through the pine forest. Time on the saddle 5 hours. Night and farewell dinner in Navarredonda de Gredos. 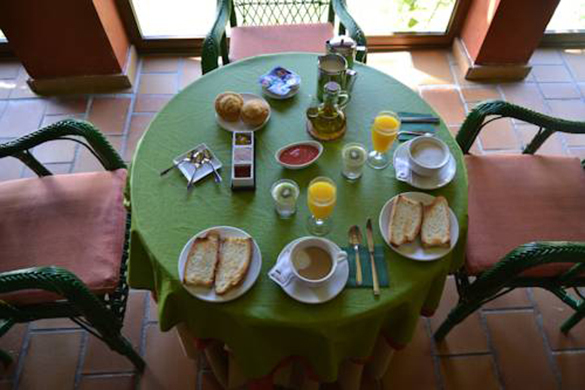 Breakfast at hotel, departure at 10 to be at Madrid airport at 12pm. 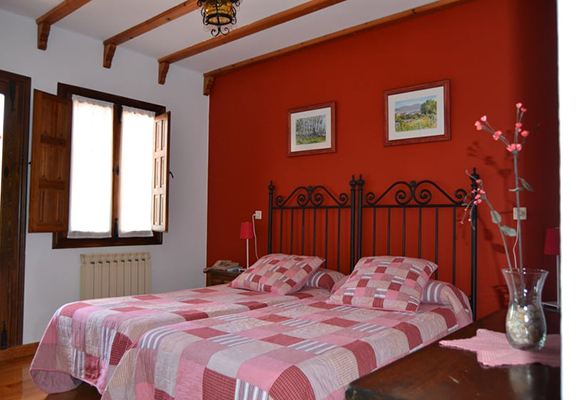 The accommodation in this ride is 5 days at the same charming rural hotel in Navarredonda de Gredos, all rooms have private bathrooms. Every of them very clean and comfortable. The food is one of the highlight of this trip, Mamen will delight you with the tapas-breaks waiting for you in any unexpected place with Serrano ham, Manchego cheese, olives, nuts, etc. 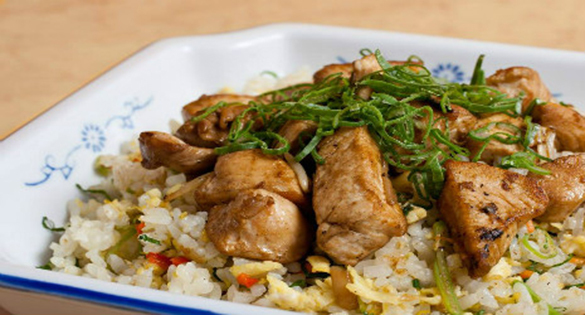 Lunchtime is relaxing with delicious home cooked Spanish dishes as Paella, Tortilla Española, Avilan beef bbq, salads, etc. 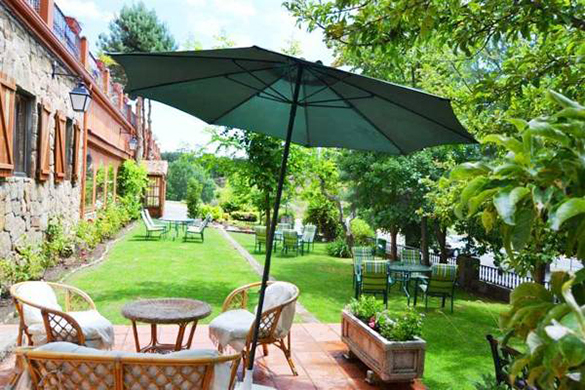 followed by a siesta and swimming. 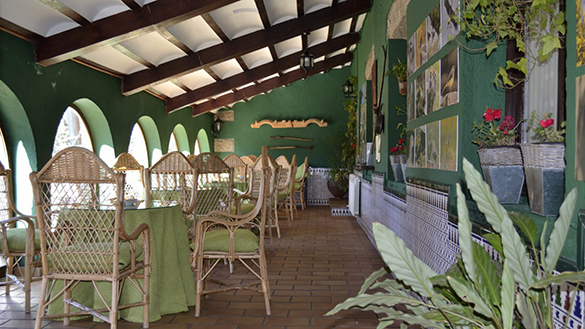 After the day riding, your dinner in the evening is around 9 pm and you have a choice from different dishes and courses of local Spanish recipes. 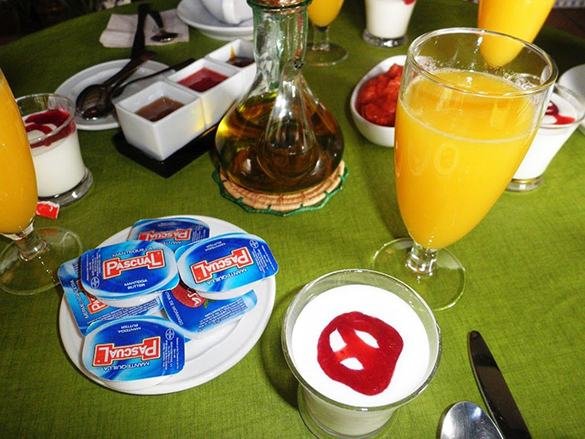 All the drinks are included during the meals, red and white wines, beer, canned drinks and water. There is Wi-Fi in the hotels you stay and is for free. 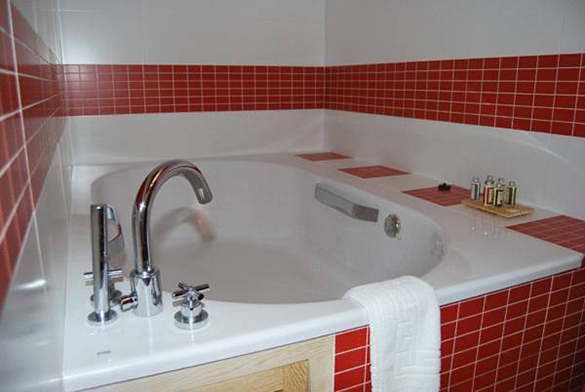 There are towels, shampoo and liquid soap in each room. 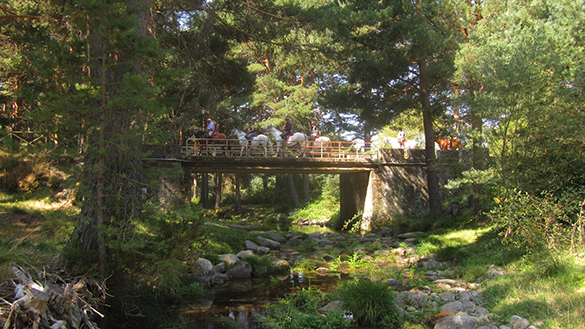 A support van follows the group during the whole week, meeting us in the morning to meet the horses, for tapas-breaks, lunches, so you have access to your day bag during the day at least 3 times or when is necessary. The service along the ride is outstanding. 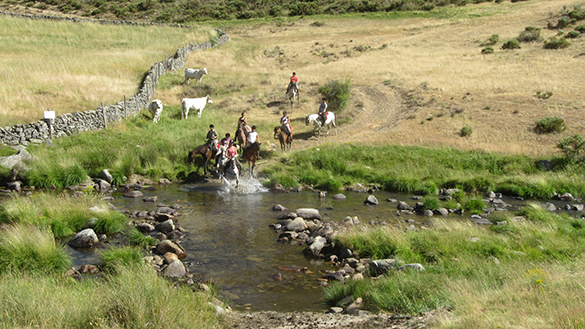 The price is per person and includes: all transfers from the meeting point for groups of 4 or more riders*, all meals from the welcome dinner on the first day to the breakfast on the last day, white and red wine with lunch and dinner, accommodation in twin bedded rooms with privet bathroom, riding, horses, tack, English speaking guide, luggage transport and excursions described in itinerary. All to an excellent standard. 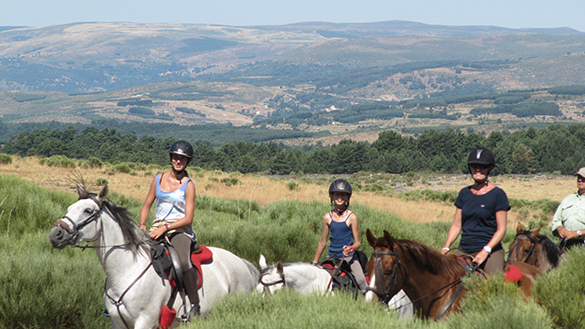 The ride is suitable for non-riding companions; they can travel in the support van and join in meals, dinners and others activities, or if they wish can rent a car in Madrid too. 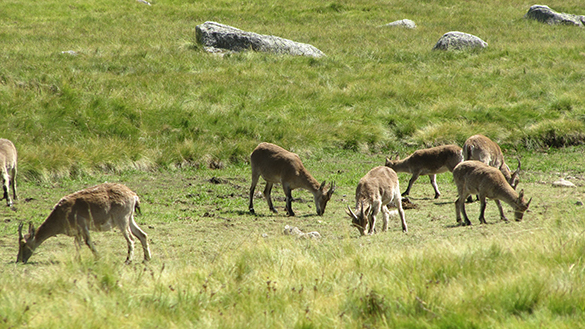 They can move in their own and join the group for dinner. We recommend you to check the weather forecast before coming, always is important to bring sunglasses, sun cream, a rain coat, swimsuit and towel in summer for swimming in the mountain rivers. 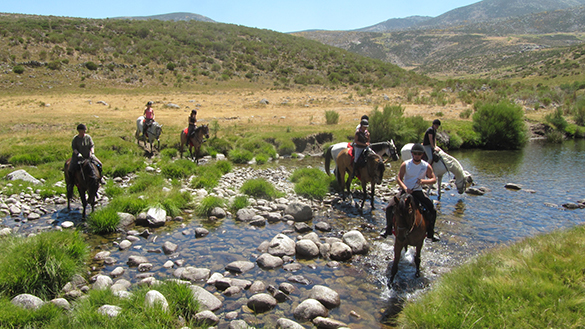 In Crystalline Waters of Gredos we offer the best ride dates July and August, allowing you to swim in the beautiful rivers and gorges of crystalline waters at lunch stops. The climate is dry Continental weather. 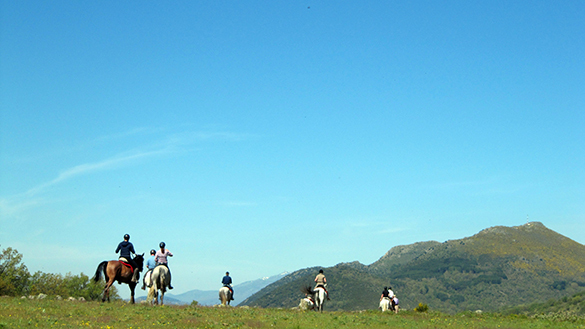 Springs soft temperatures around 18ºc with sunny and cloudy days, excellent time to ride. 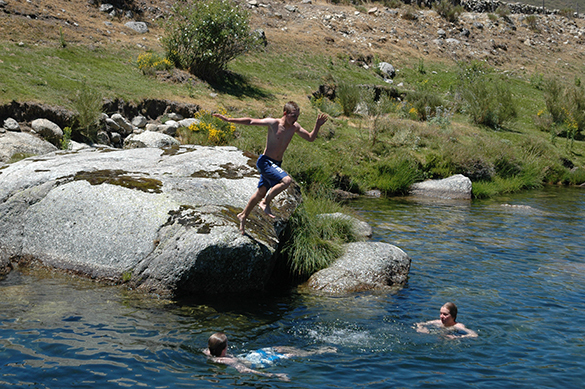 Summers are dry, sunny, temperature during the day around 25º, 28ºc good for pic nics beside the rivers and swimming. 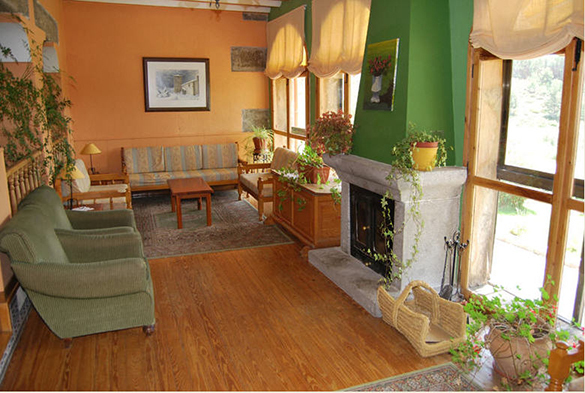 The temperatures in the night are lower in spring and autumn, but the hotels are comfortable and central heating. Not humidity area and not mosquitoes either.